You may hate when they fly around your head on a dark gloomy night, but bats are truly a marvel of nature. Check this out. Bats aren’t really blind, but they do use echolocation to make their way to the top of your head. They send out a beep and when it hits something it bounces back to them. This gives the bat an idea of how close they are to an object. 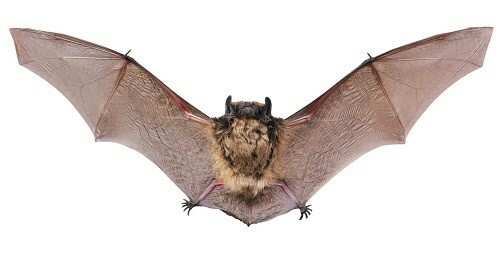 The bat is also the only mammal that is capable of flight. Its wings are actually a rubbery webbing that is attached from a long claw on the tip, back to underneath its shoulders. There are around 1,240 species of bats that range in size from that of a large bumblebee to a small cat. The Bumblebee bat is found in limestone caves along the rivers of Thailand and Burma. Unfortunately, these little guys are endangered due to the loss of their habitat. 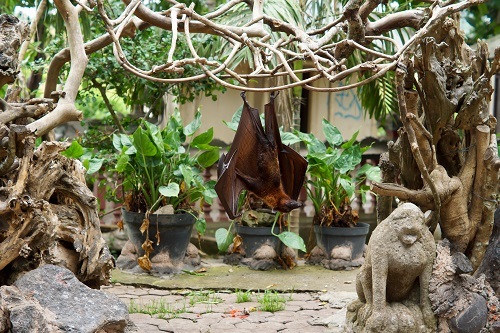 On the other wing, the Flying Fox bat can have a wingspan of around four feet (1.5 meters). This bat has a cute fox-like face and is found in the southeast Asia regions. Although we may view bats as gross and disgusting, they actually due a lot for our ecosystem. Around seventy percent of all bat species eat insects. This is a great thing when you consider just how many mosquitos one bat can eat in an hour; 1,200! That’s a lot less mosquitos to be feeding on you. If you think that number is astounding, the abundant Mexican Free-Tailed bat in texas has it beaten. There is an estimated 20 million of these bats and they can pack away 200 million insects in one night! The other thirty percent of the bats found on the planet are fruit-eaters, but their role is just as important, if not more so, than the insectivores. 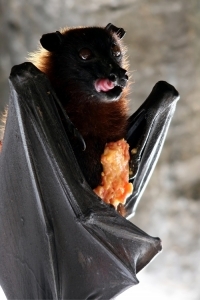 These fruit-eating animals vary in size and share a lot of the same attributes as the other bats. However, when this bat hunts and eats fruit, it is pollinating the flowers and dispersing the fruit seeds through its excrement. The Vampire Bat has gotten a false reputation through TV and movies. 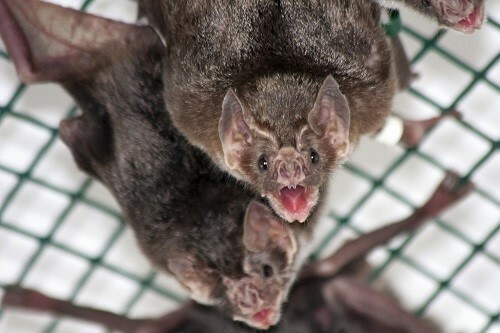 These bats do not have the capability of sucking; however, they do enjoy the taste of blood. Their method is to find an animal (like a cow), bite it then lap up the flowing blood. Due to deforestation, habitat loss and the misunderstanding of the bat, most species are in trouble. In fact, fifty percent of the bat species are declining or already considered endangered. Mother bats are not prolific breeders. They have one ‘pup’ a year. These little critters are born naked, blind and totally helpless. They nurse from their mother for nourishment and depend on her for warmth and protection. Some species of bats, like the brown bat, will fly around at night with her baby held in her feet. This sometimes doesn’t turn out well for the baby as the mothers have a tendency to drop them. 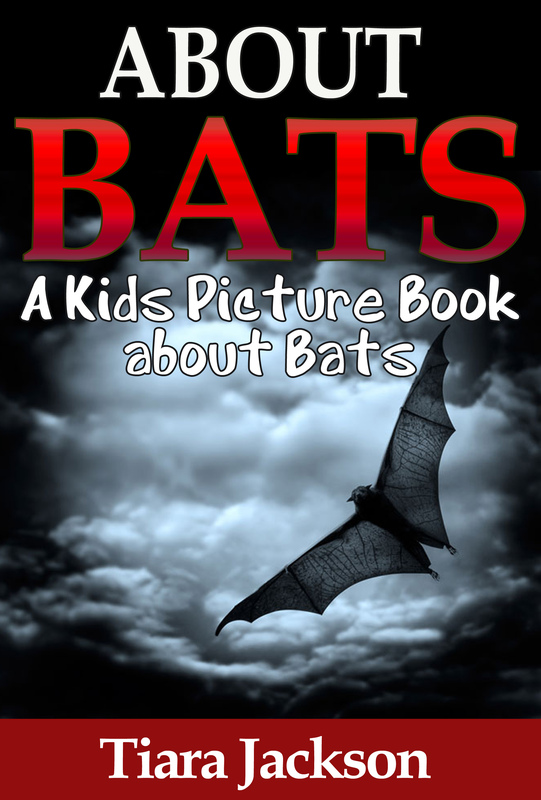 For more information on the bat, check out your local library or the internet. 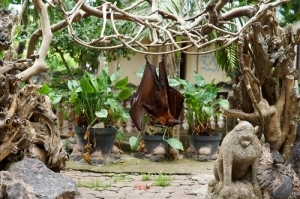 All bats play a vital part in assisting the seeding of forests and the regeneration of rainforests. They are the pollinators in the tropical forests where some plants flower only at night to attract bats. Bats are very sensitive to disturbance during the maternity season and may abandon their young if this happens. 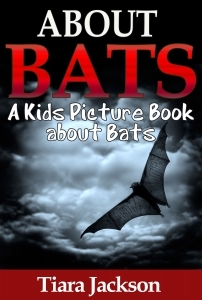 I never thought that bat has a hundred of species but after reading this kid video book I learned lot about bat. It is true that bats can be somewhat gruesome and cute. They are really marvelous because they have the skills that anybody would like to have. 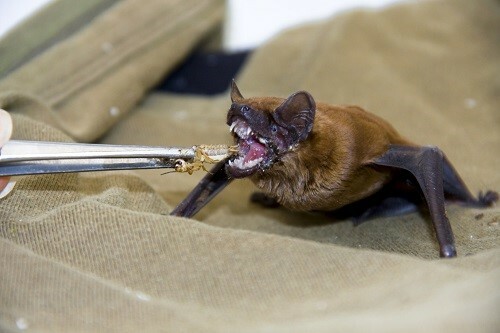 I’m also shocked that bats who are insectivores that they can eat mosquitoes for around 1,200 per night. I mean, that’s a lot! On the other hand, thanks to them they can lessen the population of mosquitoes.